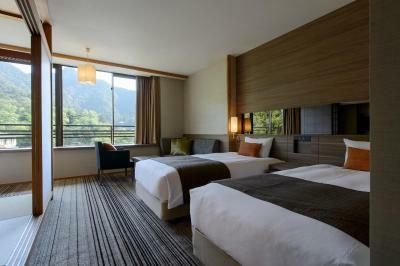 Lock in a great price for Miyajima Grand Hotel Arimoto – rated 9.1 by recent guests! Staff are very helpful and friendly, eventhough language is a problem. The staff was very helpful, the location was great, the room was very comfy. I enjoyed staying here so much. 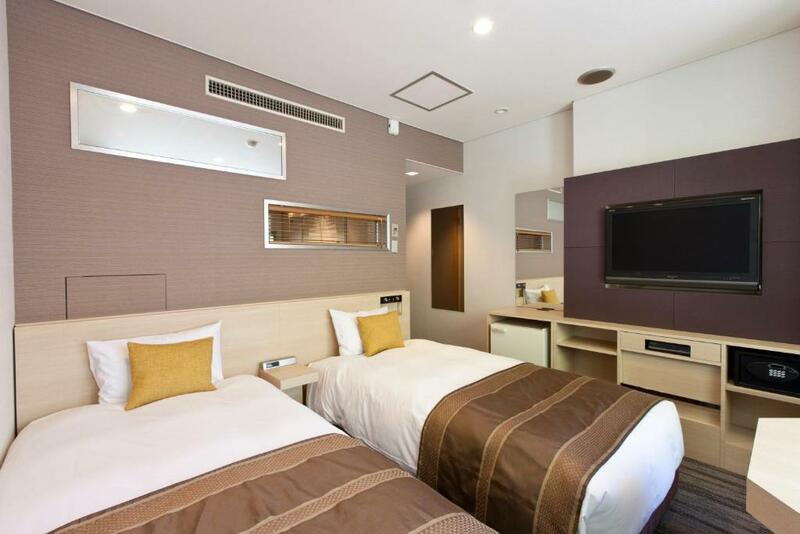 Definitely will recommend this hotel to my friends if they want to go to Miyajima. the staff was SUPER amazing. They were so friendly & helpful. I would totally stay here again. Location was great and the staff were just lovely, although not many spoke English which was a little challenging. The hotel staff was very kind and available to help us feeling confortable. Always prompt to answer any doubt and easing our stay. This is a place where you can get some rest, relax and enjoy very good food! Both dinner and breakfast were exquisite! Lovely spacious room with seating area. Looking out to the sea and Tori gate. Bathroom and shower area excellent. Some of the staff spoke English and were very helpful. All requests ( such as food options, likes, dislikes) were taken into account and catered for. Very comfortable room and beds. Easy access to main sites and areas. We stayed one night. It was great to be on the island, getting to see the sights at night as well as by day! The room was huge, with a big seating area incorporated within it. We had a tasting menu at the restaurant with lovely fresh sushi, oysters and beef. Overall, very nice. The dinner was excellent and different both night. Big room and nice view. 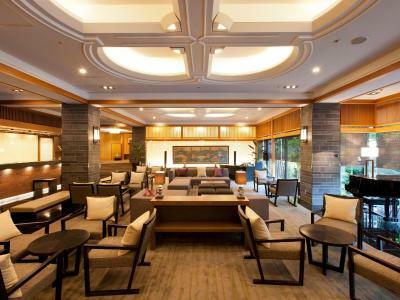 Miyajima Grand Hotel Arimoto This rating is a reflection of how the property compares to the industry standard when it comes to price, facilities and services available. It's based on a self-evaluation by the property. Use this rating to help choose your stay! One of our best sellers in Miyajima! 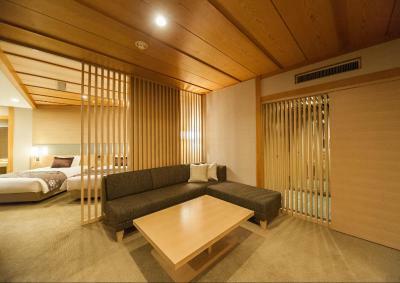 A 3-minute stroll from Itsukushima Shrine, Miyajima Grand Hotel Arimoto features an outdoor hot spring bath, 3 restaurants and karaoke. 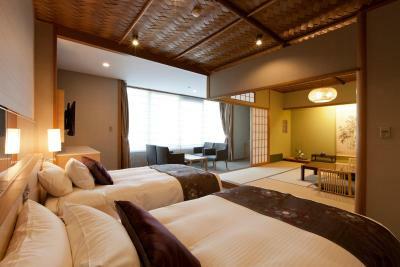 It offers luxurious Japanese-style and Western rooms, massages and a free shuttle from Miyajima Pier. Free Wi-Fi is available in public areas. 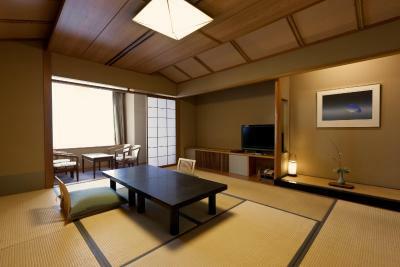 Spacious rooms feature either traditional futon bedding on a tatami (woven mat) floor, or carpeting and twin beds. 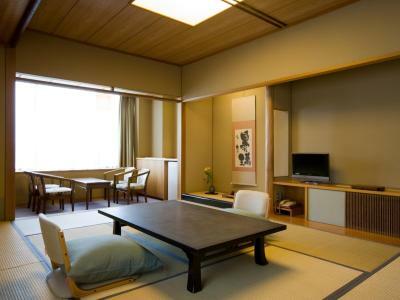 All feature a minimalist interior in neutral colors, with a Japanese-style as well as a Western seating area and an LCD TV. Guests can unwind in a soothing natural hot spring, which is separate for men and women. Arimoto Grand Hotel houses a souvenir shop, drinks vending machines and limited free parking. Authentic Japanese cuisine featuring fresh seafood is served at restaurant Shioji in a stylish contemporary setting, and in more traditional surroundings at Kappo Karaku. 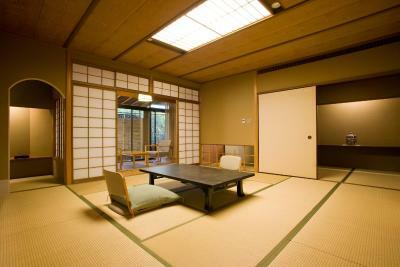 The Miyajima Arimoto also offers a coffee lounge, a bar and a Japanese noodle restaurant. 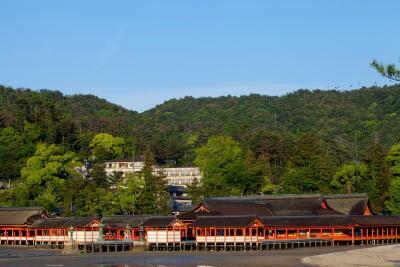 Miyajima Grand Hotel Arimoto is less than a 5-minute walk from the beautiful Pagoda Goju-no-To and historical Senjokaku Hall. 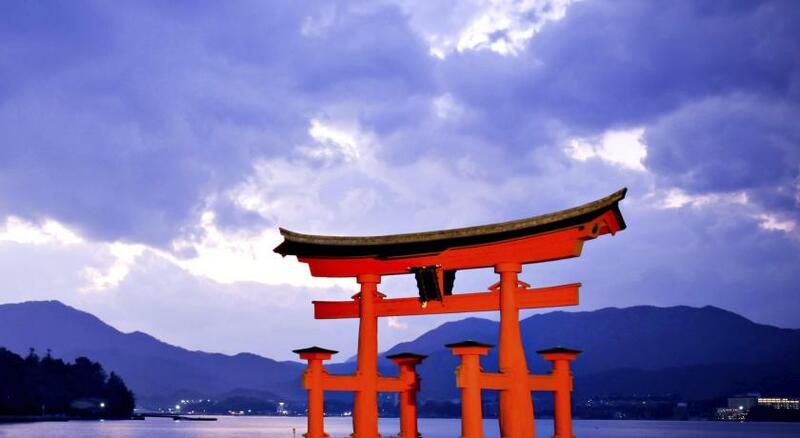 The Miyajima Ferry Terminal is a 10-minute walk away. 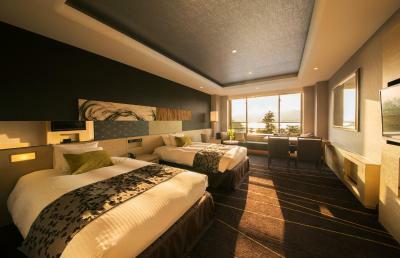 When would you like to stay at Miyajima Grand Hotel Arimoto? This family room features a flat-screen TV, seating area and air conditioning. 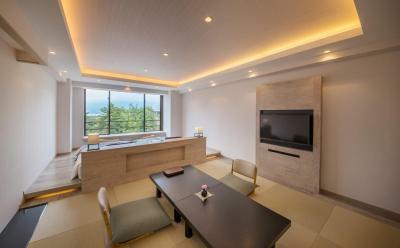 House Rules Miyajima Grand Hotel Arimoto takes special requests – add in the next step! 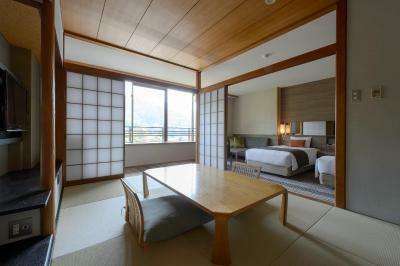 Miyajima Grand Hotel Arimoto accepts these cards and reserves the right to temporarily hold an amount prior to arrival. 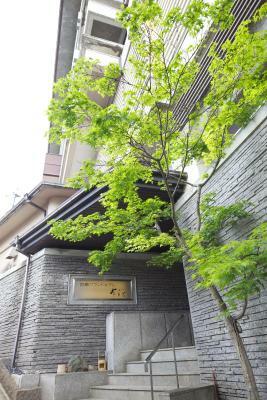 To eat dinner at restaurant Shioji, a reservation must be made at least 5 days in advance. To use the property's free shuttle, call the property before boarding your ferry from Miyajimaguchi ferry pier. Contact details can be found on the booking confirmation. Please note that free shuttle services are available until 19:00. Guests without a dinner plan who wish to include dinner additionally must contact the property in advance. The property cannot prepare dinner if you request it after arrival. Please also note that there is no restaurant nearby. A prepayment via PayPal is required to secure guest reservations. The property will contact the guests after booking on instructions about payment. Guests must make the payment via PayPal within the instructed date or guest reservations will be canceled. Guests must check in by 7:30 PM to eat dinner at this property. Guests who check in after this time may not be served dinner, and no refund will be given. 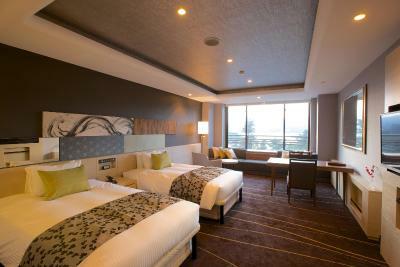 Please inform Miyajima Grand Hotel Arimoto of your expected arrival time in advance. You can use the Special Requests box when booking, or contact the property directly using the contact details in your confirmation. The Hotel was very dated and not very well maintained. 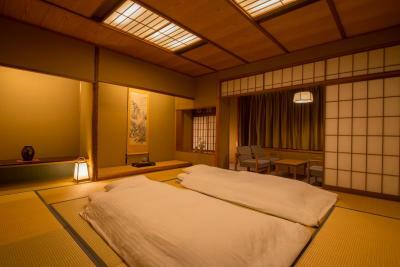 Our room was a traditional room, the carpets were worn the Japanese mattresses very thin and uncomfortable. There was not coffee in the room, we did eventually find some green tea bags. Water bottles on the first day but nothing after. The room was so old and unwelcoming. You are then told the latest you can have breakfast is 8.30am, (this is not acceptable on holiday) and the latest you can have dinner is 7.00pm again too regimental. The fixed menu on half board was unwavering and therefore a real challenge. We have eaten great Japanese on our travels but this food had sat around in fridges under clingfilm and even the food prepared at the table was over cooked and not great. For teenagers struggling with the equivalent of Creme Brulee with tiny fish their options were limited. We forwent our 2nd meal and both breakfasts in favour of eating in the village even though we had paid for the meals. The staff are lovely and trying very hard but this is an old hotel that is out of date with global travellers and their needs. it said mountain view but our room literally backed on to somebodies backyard. No mountain view at all. The bed was super comfortable. I have a back condition so was v pleased with it. I liked having some tea, gift packs etc. A nice touch. Too bad, it is not an onsen.